Dining Chair Event – Buy One Get One! 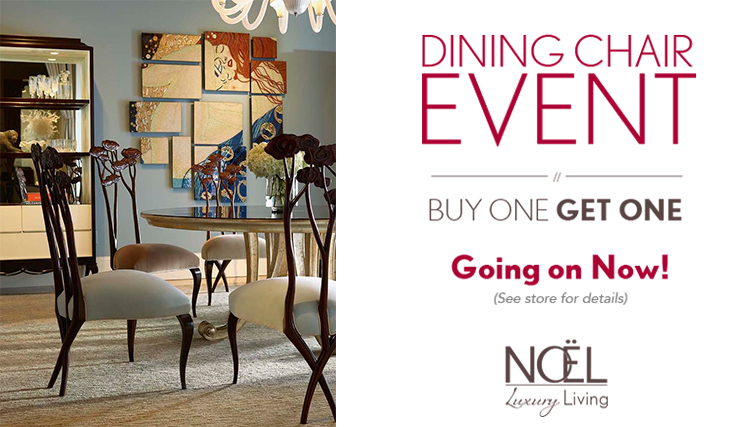 Now through the end of the month on all in-stock dining chairs it is Buy one Get one! Please see store for complete details. There are so many beautiful dining chairs to choose from inside the Noël Showroom. Stop in today and SAVE! Don’t miss out on the Noël Dining Chair Event. Sets may not be broken up and this offer may not be combined with any other.